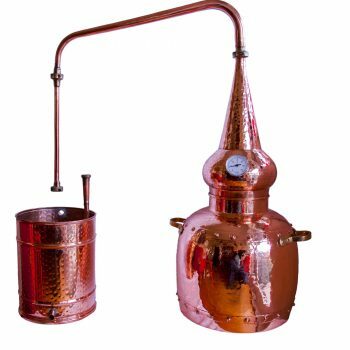 Alembics supplies professional and amateur distillers alike with high quality copper distillation systems. Copper has twice the thermal conductivity of aluminum and nearly ten times that of stainless steel. It is energy efficient and highly antibacterial making it the ideal material for use with water and high heat. 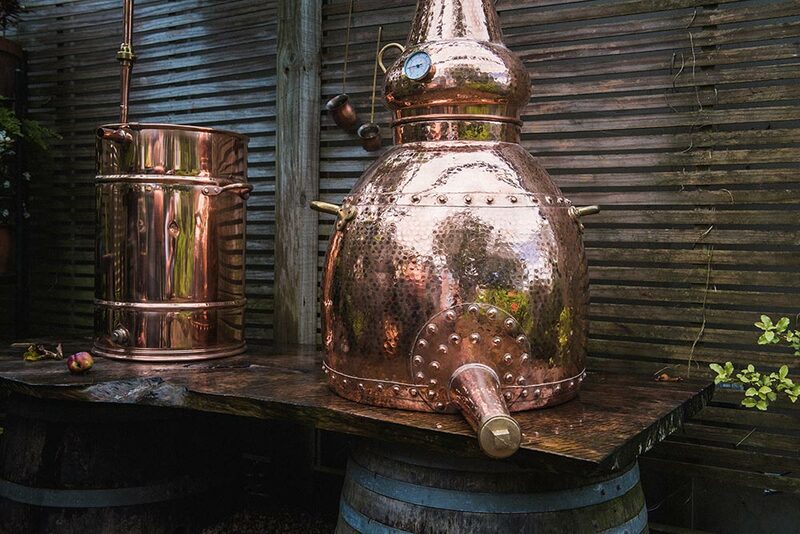 Alembic copper stills are handcrafted in Europe. 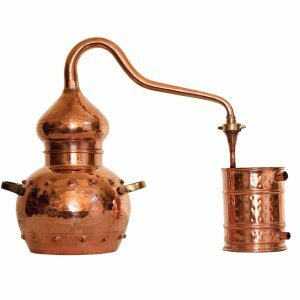 They are beautiful and graceful by design marrying modern day distillation technology with old world charm. Simple and versatile the Alembic Column is a great all rounder. 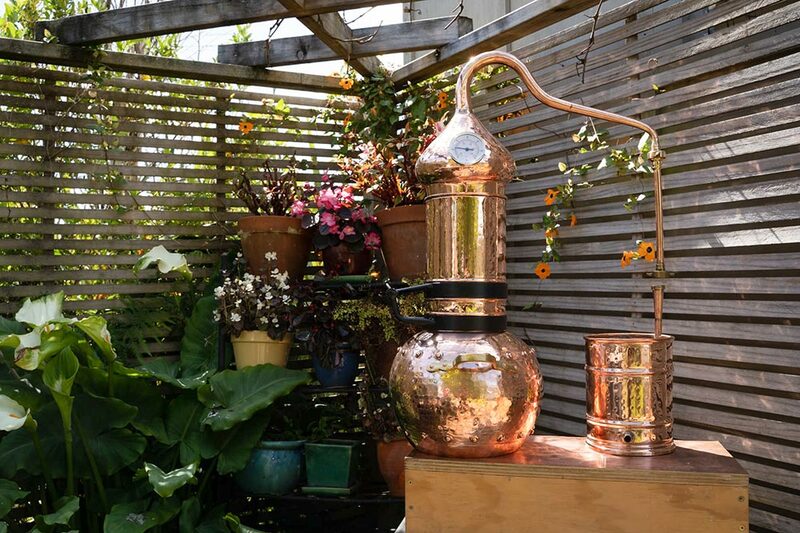 With the column on it can be used for vapour infusions to make gin along with steam distillations of essential oils. 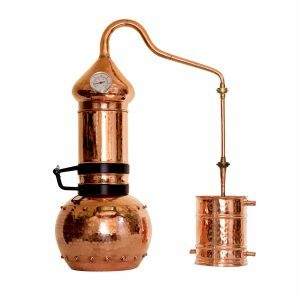 Remove the column to create a pot still ideal for the distillation of hydrosol, and fruit or grain spirits. Available in seven sizes. 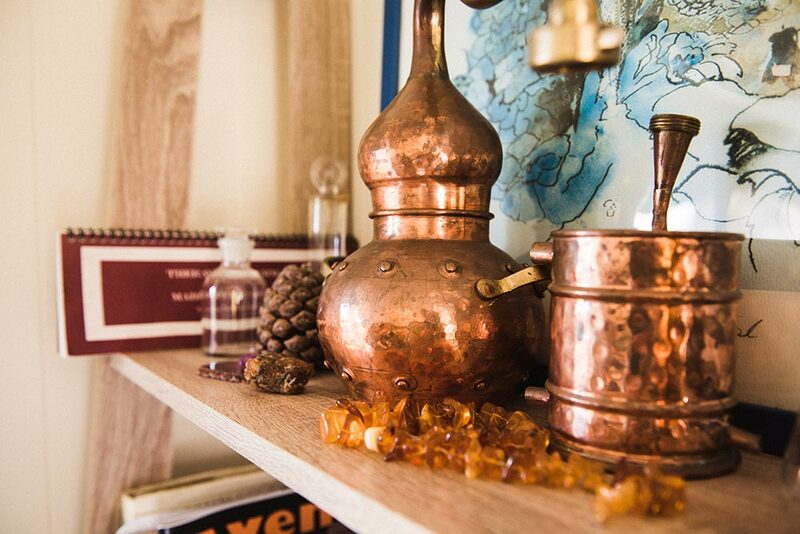 The Traditional Alembic is used commonly throughout Southern Europe. 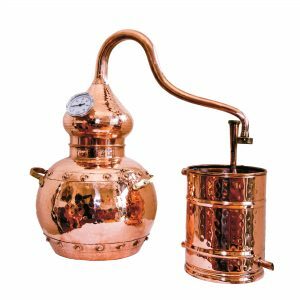 It is specifically crafted for the distillation of alcoholic spirits and hydrosol. It offers great value and ornamental appeal while remaining highly functional. Used in modern bars and eateries. Suitable for artisan distillers and hobbyists alike. Available in six sizes. The Alquitar has been crafted for the production of high-quality artisan spirits. Expect a slightly slower distillation and a purer spirit. 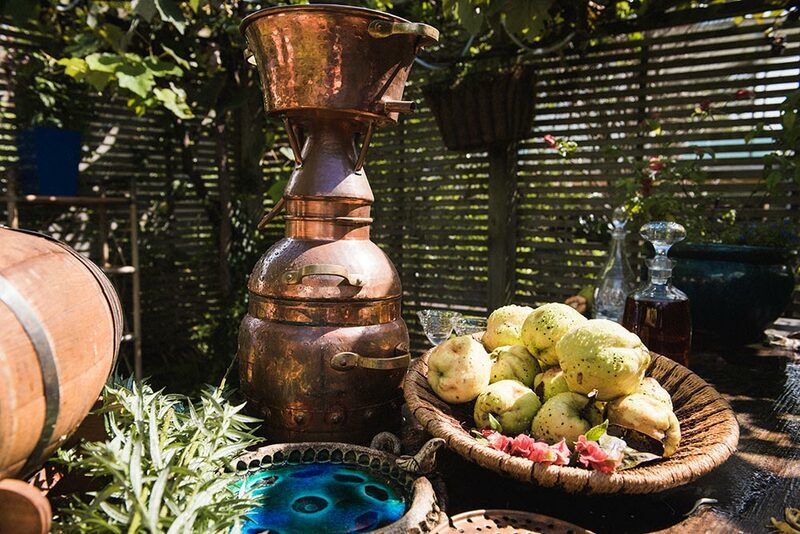 The still of choice in Portugal and Spain for making grappa, calvados and eau-de-vie. 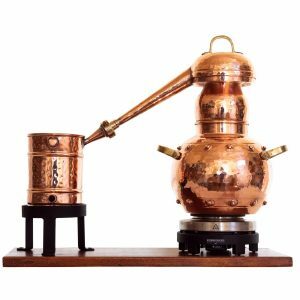 The Alquitar can also be used for hydrosol, gin and for the distillation of aromatic woods, barks and resins. Available in seven sizes. 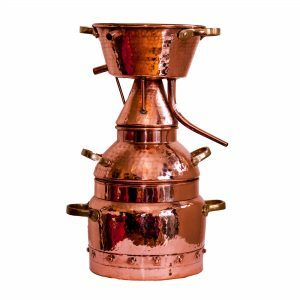 The Whiskey still is suitable for the distillation of all spirits but specifically designed for making whiskey from corn, grain or sour mash. Old Scottish design principles from the 1700’s have been utilized so that the Whiskey still produces a stronger more refined spirit. Available in three sizes. Larger sizes also available on request.